It's Tuesday, so you know what that means—it's time to talk shoes. Today's topic? The coolest sandals for summer. To enable (and honor) our love for footwear, we've dedicated a weekly post to highlight and share our must-have picks! Be sure to come back every Tuesday to check out the week's featured style and shop the shoes sure to keep your wardrobe fresh and covetable. From gingham flats to pretty velvet slides, these are the sandals we're adding to our summer shoe rotation. Shop our nine of our favorite summer sandals below. 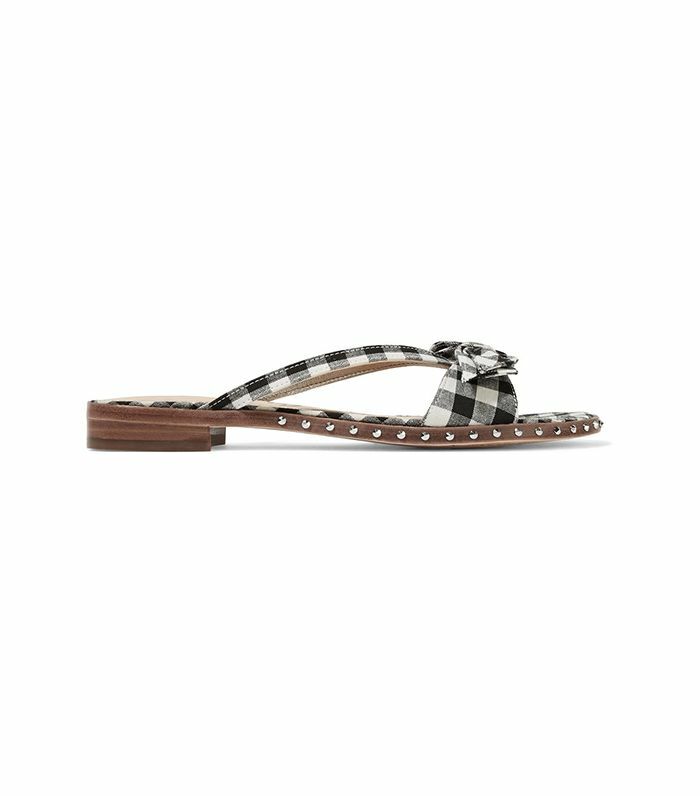 If you don't own anything gingham yet, these are the perfect accessory. We love the feminine bow and pretty pink hue. Pack these on your next vacation. Polka dots never get old. These also come in a beautiful green color. These slides are perfect for pairing with deconstructed denim and a casual top. Freshen any outfit with these bright and summery shoes. These look way more expensive than $16. Up next, shop the summer trends that are already selling out.